Photographer Kim Anderson’s trademark are timeless and nostalgic photographs of young children in oversized adult clothing. His pictures have been made into cards and posters for the last ten years and have won praise worldwide. 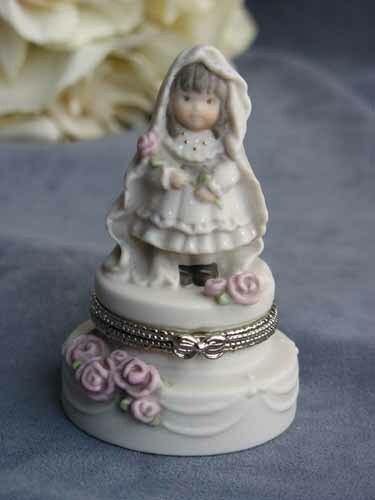 This lovely wedding figurine may serve as a perfect addition for your guestbook table, or to crown the top of your wedding cake. It also makes a great wedding gift! Perfect for the wedding of any Kim Anderson fan!